Our next stop on our haunted pubs tour of Britain & Ireland, is Edinburgh. 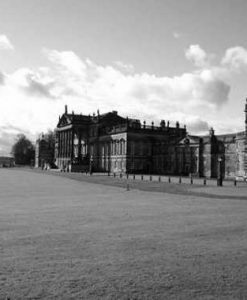 This ancient city is believed to have the highest concentration of the most active haunted locations anywhere in the world. 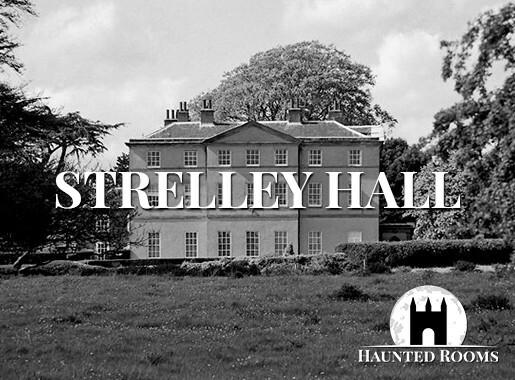 It’s for this reason that it’s thought of by many as the most haunted city on the planet. From its medieval dungeons and underground streets, to the famous hauntings at Edinburgh Castle, the ghost stories surrounding Edinburgh do have an undercurrent of pain and suffering, which could be the trigger for so much of the paranormal activity from these tortured souls. The ghostly reports don’t end with the city’s famous landmarks, its pubs are also regular haunts for its long dead citizens. 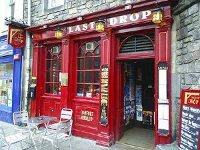 Apparitions, poltergeist activity, visions, and strange sounds have all been witnessed in the following list of haunted pubs in Edinburgh. 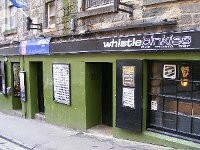 Self proclaimed as “Scotland’s most haunted night club”, parts of this club were once part of the infamous underground vaults of Edinburgh. 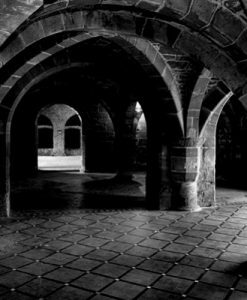 These vaults were home to some of Edinburgh’s most destitute and unsavoury characters. It was here were many of these people met their gruesome end. If you put your drink down anywhere here, be careful, as it may just be thrown against a wall by an unseen force! One spirit that lurks here is known by locals as “The Banshee”. On one occasion the workers who were renovating the pub heard a blood curdling scream coming from one of the vaults, moments later one of the workmen received a phone call informing him that one of his family members had just passed away. 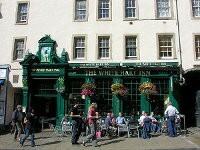 The White Hart Inn is central Edinburgh’s oldest pub, with parts dating as far back as 1516. One of its claim to fames is the rumour that Robert Burns was believed to have stayed here on his last visit to Edinburgh in 1791. 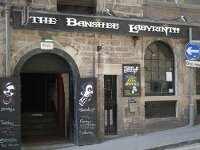 Another claim to fame is its award in 2005, claiming it to be “the most haunted pub in Edinburgh”. Over the years owners and staff seen and reported many strange happenings, with many emanating from the cellar area. One experience that’s often reported is the sighting of a dark shadowy figure at the doorway heading down to the cellar. Upon investigation the cellar is always empty. There has also been the sighting of a detached pair of legs followed by a full figure in the centre of the cellar near the fridges. When members of staff are checking food supplies in the cold room, they’re often greeted by the cold room door slamming closed behind them. Barrels in the cellar also get moved around from one place to another. This mischievous spirit is said to also be behind the regular problem with the beer taps not working. Upon inspection the gas cylinders are often detached, and are re-attached by staff using a heavy-duty spanner. Upon heading back up to the bar, the taps often do not work again, only for the member of staff to head back downstairs to the cellar to find the gas cylinders had been detached again! Loud repetitive bangs are also heard coming from inside the cold room, as well as intermittent bangs coming from other areas in the cellar. Famous for its resident ghost and the last hanging in Grassmarket, this 17th Century building was once part of Tenements which housed some of Edinburgh’s poverty stricken. The pub you see today was rebuilt using the buildings’ original stone. 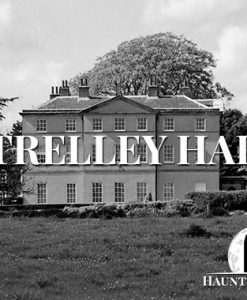 The spirit that haunts The Last Drop, is said to be that of a young girl, who may have lived here during its time as a dwelling. She has been seen by staff and customers both in the cellar, and also the bar area. Tolbooth Tavern is part of the original Tolbooth that was built here during the 16th Century, that was used to collect tolls from travellers to the burgh of Canongate. It also served as a Council Chamber, Police Court, and a prison. 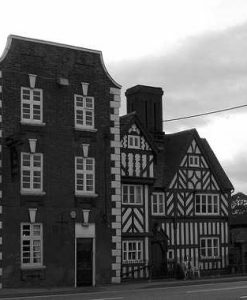 The rear area of the pub was used as housing from 1750 until sometime in the early 20th century. The front area of the Tolbooth became a tavern in 1820, and the building you see today stands pretty much as it did back then. Things are often knocked over at the Tolbooth, and it’s the resident ghost that tends to get the blame. People have reported drinks flying off tables, pictures and various things falling off the walls. Built into the South Bridge Vaults, this underground venue is home to two ghosts. One of which is known as “The Imp”, a mischievous entity that likes to annoy staff. Playing tricks with objects moving them around, locking people in rooms, and stopping clocks around the bar. The other spirit goes by the name of “The Watcher”. A quiet spirit that does not like to make contact with people, he simply watches them from a distance. He has been seen by staff and customers, wearing 17th century clothing and is described as having long black hair. He’s been seen mostly in the bar area of Whistlebinkies, but he’s also been seen in other areas of the vaults too. He was approached on one occasion by a person on a tour who believed he was a tour guide, only to disappear before them.